WHY ARE PRIVATE PILATES LESSONS SO BENEFICIAL? Dev Winsor getting run way fit with 1:1 private Pilates sessions. Pilates is a method of exercise focused primarily on control & precision. Getting the most from each exercise requires correct alignment & technique. Even being slightly off centre, or working through one side of the body more than the other, makes a massive difference to the feel & benefit of the exercise. Clients might say: Where should I be feeling this? Not knowing where to feel the challenge in Pilates is often the result of not being in the ideal position or alignment, or of not fully understanding the exercise or the basic fundamental principles of Pilates such as properly activating the core/power house. Generally speaking, when the body is functioning optimally in a balanced, aligned way, it becomes much clearer where you should be feeling the exercises & even more so as the body becomes stronger. This is why having regular 1:1 or 2:1 sessions under the watchful eye of certified, experienced instructor can make all the difference. During a private lesson, your instructor should always be completely focused on the alignment of your body, coaching, cuing & adjusting your position, so that you are getting the most benefit out of each movement. I believe even highly experienced students or instructors still benefit from this personal approach. Having someone experienced look at your alignment & technique regularly helps to make sure you don’t pick up undesirable habits, sometimes being crooked starts to feel totally normal! Now don’t get me wrong, I think group classes are great as they are a fun, cost effective way to get the body moving & often provide a really good workout. However, when an instructor is managing a varied group with lots of different abilities, there is less time available to explain each exercise to everyone, & it can very difficult to give individualised attention. This has the potential to become a problem long term if clients are doing Pilates for years without really improving or are not understanding the detailed techniques specific to their own body. A mixture of private lessons & group classes can be a great combination, allowing you to take the knowledge & information gained in your private sessions, with you into your group classes. I recommend doing at least 5 - 10 private Pilates lessons, either 1:1 or 2:1, before doing any kind of large group class if possible. This ensures you will be building on a solid foundation, & gives you a clearer understanding of the Pilates principles, along with an awareness of what your body needs in order to be aligned & balanced. This is especially important if you have injuries, are pregnant or post natal. If you have been doing large group Pilates classes for a while, it can also be good to look at supplementing a class with a private Pilates session every 2 - 8 weeks. Often I find clients who do 1 - 3 private sessions a week, over 4+ group classes, can get more effective results due to the personalised attention & precise focus on technique. Sometimes quality over quantity is beneficial, especially if you are new to Pilates. Investing in private sessions is an investment worth making if you want to get more out of your workouts long term. When you really understand the goal of each exercise, & have the ability to work your body optimally, you will have the power to transform those ‘basic’ Pilates exercises into something a lot deeper, more challenging, & ultimately transformational for the mind & body! Often Pilates is just thought of as a workout using only the mat or reformer. However traditionally the Pilates method was created using a variety of different pieces of equipment. A Contemporary style Pilates Reformer from Balanced body Image from Universal Practice. Often I get asked what's so good about Pilates? What will it do for me? So I have decided to write a blog post explaining what I believe the amazing benefits are and the positive, powerful effect Pilates can have on the mind and body. Pilates was originally named 'Contolology' by Joseph Pilates the creator of the exercise method in the 1920's. He based his whole system around people gaining complete control over their mind and body. Pilates teaches people to be aware of their body and to move mindfully. Pilates is amazing for men and woman and for all bodies. 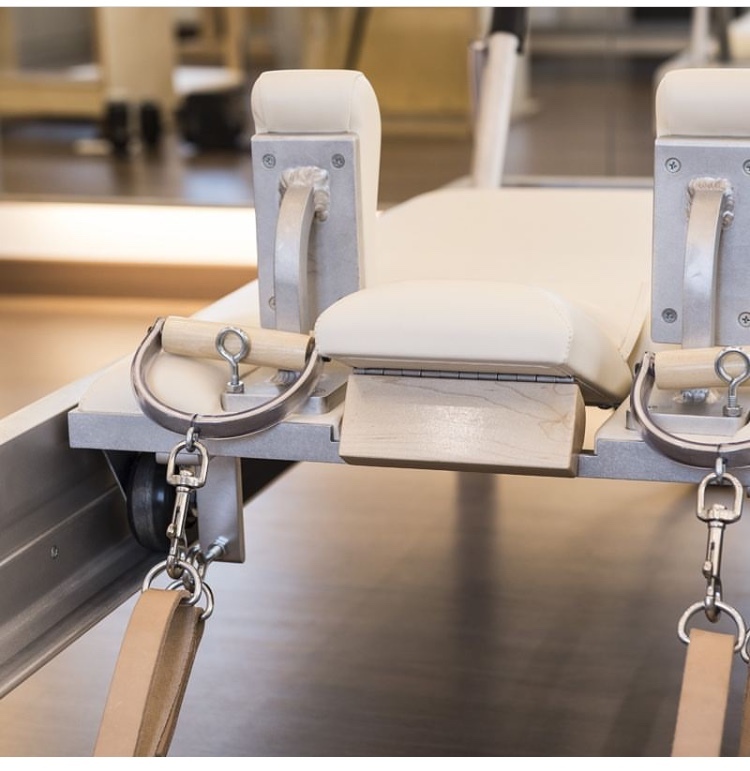 It used to be used primarily as a great tool for rehabilitation and for keeping dancers in great shape. Pilates is now becoming increasingly popular for all ages and fitness levels from the elderly to teenagers, pre and post natal women to elite athletes. Pilates is a full body workout. It targets all areas of the body and improves strength and flexibility in a balanced way. Pilates targets all of the muscles in the body including the small stabilizing muscles that are often left out in other exercise programs. Pilates has a huge focus on developing a strong powerhouse, (deep core muscles such as the gluts, inner thighs, abdominals, pelvic floor and spine). All of these muscles work together to create a strong foundation resulting in a healthy, balanced, happy body.